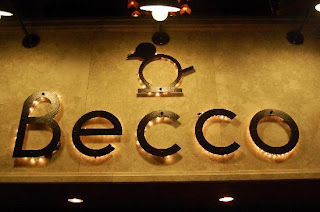 Skinny Gourmet Guy: NYC Restaurants: Becco! One of my favorite restaurants anywhere is Becco. It's another theater district gem that I recommend without hesitation. It's on restaurant row - on West 46th between 8th & 9th Avenues. A little too far to use their restroom during intermission of the Broadway show you're seeing, but wonderful nonetheless. 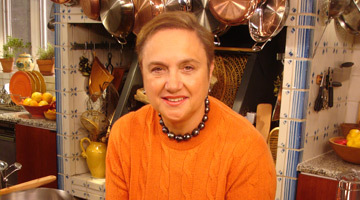 Becco is Italian for "to peck"
Becco is owned by Lidia Bastianich - of Lidia's Italian Kitchen on PBS - and her son, Joe. ﻿ If you're looking for a quiet, romantic dinner you best look elsewhere. But if you want terrific food, lively atmosphere, excellent service and some of the best Italian food you'll ever have, look no further. While you can order a porterhouse steak for two for about $95 dollars there are deals to be had. 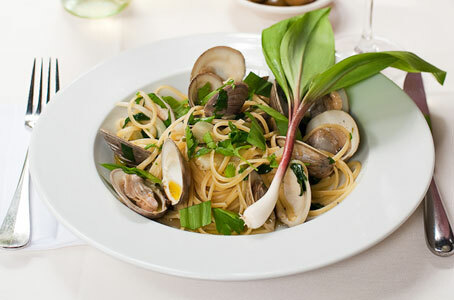 One of my favorite things to order is the pasta serving. For $21.95 you get a cesar salad and three different types of pasta that they chose randomly each night. It may be ravioli, linguine with clam sauce or gnocchi with sage butter sauce. And it's all you can eat. One tip: have the waiter only serve one pasta at a time - they will try to give you all three at once and the flavors get muddled that way. You can also get it as a side with dinner for about $9. I go off the Skinny Guy template when I eat there and get the pasta serving as a side. Becco also has an impressive wine list - with many bottles pricing at under $25. Our waiter reasoned if you plan on having more than a glass per person, you might as well go for one of the under $25 bottles. 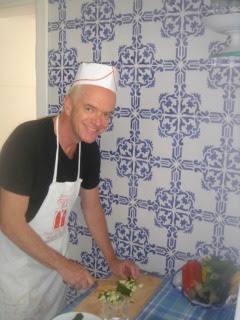 Many of the waiters are the real McCoy - they're actually from Italy and are knowledgable about the cuisine of the region. And there's more than pasta on the menu - there are many fish dishes, include whole roasted fish. I have dinner there so often it's like a second home to me. Try it - but be sure to make a reservation and ask for upstairs or the back room downstairs. It gets pretty lively and you'll never get a table without a reservation. Chris - Love that restaurant. Yummy post. I'm hungry.